Frightmares has been an increasingly popular Halloween event at Lagoon for over 20 years now. But before Frightmares, Lagoon tried out a short Christmas event. In November 1994, possibly for the first time ever, Lagoon opened its doors to the public for a post-season holiday celebration. 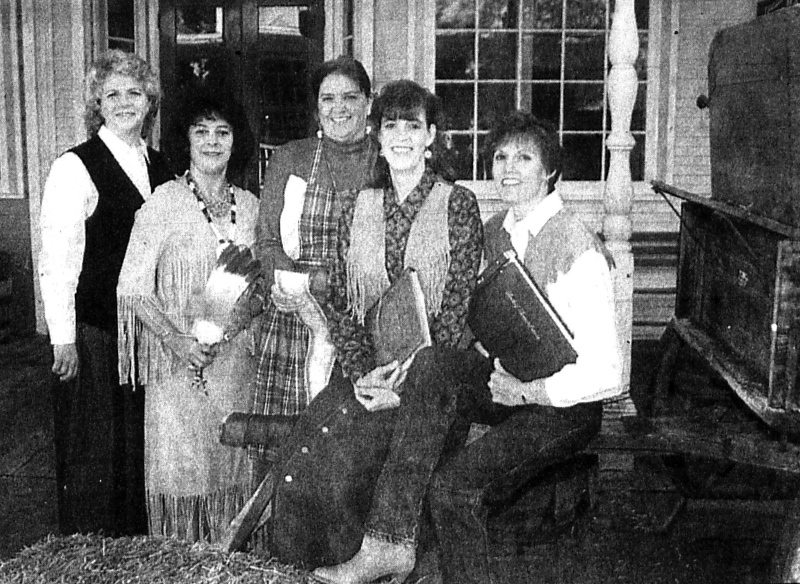 The three-day Pioneer Holiday was basically a community event hosted at Lagoon, similar to the way the Davis County Fair had been held there in previous years. Pioneer Village was the center of activity for the event and no rides were operating. Visitors parked at the historic rock church on Main Street in Farmington, then walked down 300 North to enter a back gate into the park. The event started Thursday with a craft boutique and luncheon at the Davis Pavilion. Admission to the craft boutique was free. On Friday night and throughout the day on Saturday, admission to the activities in Pioneer Village was $2 per person or $10 per family. If not for the success of Frightmares, which began the following year in 1995, the Christmas celebration may have returned and even expanded to include more events and – with the warmer weather in recent years – a few rides may have been opened, too. It would be nineteen years until Pioneer Village was dressed up in Christmas decorations again, but it wasn’t for a public event. 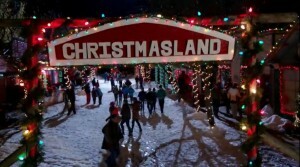 After Lagoon closed for the 2015 season, Pioneer Village became Christmas Land for a Hallmark Channel movie of the same name. Did you attend the Pioneer Holiday event at Lagoon? Please share your memories by commenting below or send a message using the form on the Contact page. 1. Click here to learn more about the snowy November of 1994. Lagoon May Beat Record, Exceed 1 Million in ’94. Deseret News, 7 Sep 1994 – Davis Edition. Boren, Karen. Celebrate ‘Pioneer Holiday’ at Lagoon. Deseret News, 3 Nov 1994. Lagoon pioneer fest through Saturday. Deseret News, 3-4 Nov 1994.